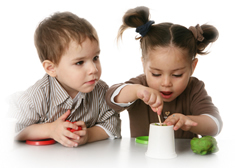 The Toddler Room welcomes children from the age of 24 months up until they are 36 months. We open the nursery at 8.00am and close at 6.00pm, during this time we make sure that the children enjoy a range of suitable activities that are interesting, varied, and appropriate for their different abilities. We have a ratio of 1:3 for children under 24 months and 1:4. for children over 24 months. All of the children are assigned a key person which will be one of the permanent members of staff from the room. This member of staff will help them to settle into the nursery routine and work with the child and parents/carers to ensure that they are settling well. They will also co-ordinate information on the child's needs and development and share this with the other members of staff and the parents. 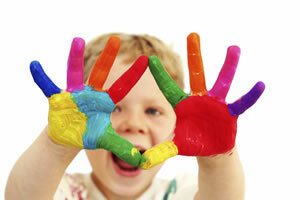 It will also help to plan activities for the children and help to build up a picture of their interests. 10.30am snack time followed by garden time to engage in a planned, focused activity depending on the needs of the children. The children will go to the bathroom and wash their hands before they have their mid-morning snack. The tables are situated so that a member of staff will sit in the middle and other children will sit around them. Snack time is a very sociable time and good eating habits and manners are encouraged. Children are encouraged to say 'please' and 'thank you' and we also use basic makaton signs. A jug of fresh water is also available throughout the whole day for the children. There is a visual sign so that the children can indicate their need for a drink. Meeting the individual needs of our children lies at the heart of our practice and observations are incorporated into daily routines. 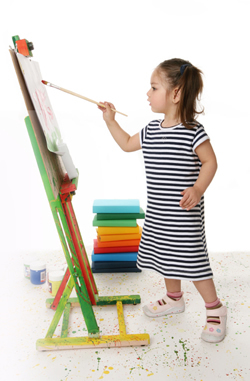 The children have the opportunity to use the creative area, which offers a range of activities, such as sand, water, playdough, clay, drawing and colouring, painting and printing, and malleable materials. The children also have use of the gym area in which we can offer a wide range of physical activities which will help our children to discover and develop their bodies in a creative and challenging way. The gym planner is used to organise this. At 11.30 is lunch time. After lunch, some of the children that have an afternoon sleep will go into the Tower room, where the beds are set up. The other children that do not have sleeps will have a session in the gym, play outside or use the creative area. The afternoon session begins at 1PM and the same pattern is followed but includes different activities and resources. A tea is provided for all children at 4pm during the pm session.